“Hamein China se koi khatra hai (Do we face any danger from China)?" Nehru asked the young candidate. “Jee haan, khatra hai bhi aur nahin bhi (Yes, there is a threat and there isn’t)," he replied. “Hai bhi, aur nahin bhi. Tum Chanakya niti sikha rahe ho! (There is, and there isn’t. You are teaching me Chanakya’s philosophy!)" 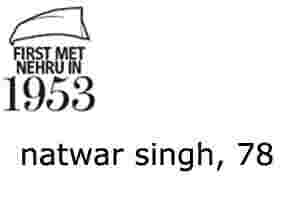 “No sir," Singh replied “Your nearest neighbour is your best friend and your worst enemy." Nehru remained the foreign minister till his death in 1964, and over the next 11 years Singh got to see much of him. 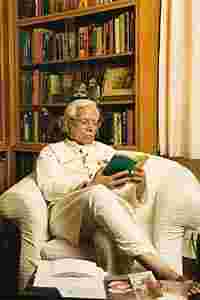 He was appointed secretary to the secretary general R.K. Nehru in the foreign ministry, which meant that his office was on the same floor in South Block as Nehru’s. The office of the secretary general ranked above that of the foreign secretary, until the position was scrapped about 30 years ago. “He would walk into the secretary general’s room or my room," Singh recalls. “It was exciting to be in the same building as him." But the proximity had its perils, as Singh was to discover. In 1960, the king of Nepal dismissed his prime minister, B.P. Koirala. Dismayed, Pandit Nehru wrote a long stinker to the monarch. The letter landed on Singh’s desk; he was to forward it to the foreign secretary. “It was the last file to come to me in the evening," recalls Singh. “I used to get in by 9 in the morning and Panditji used to get in by 9.30. So I put it in my cupboard." The next morning, Singh went to Palam airport to see the secretary general off to China. “In those days, Palam used to look like a bus stop," he says. The flight was delayed and while Singh was waiting someone came over. “Aap Natwar Singh hain?" he asked Singh. “Aapko Panditji bula rahein hain (Panditji wants to see you)." He knew he was in trouble. Nehru was looking for the letter locked in his cupboard. “I ran, took the car and (on reaching South Block) took the file to the foreign secretary. The foreign secretary asked me to give it to Panditji’s private secretary, Khanna." S.P. Khanna told him, “Natwar Singhji, leave the file here or he will throw something at you." Singh later discovered that Nehru had arrived at 9 sharp and gone straight to the foreign secretary’s office asking him what he thought of his letter to the king of Nepal. The secretary had not seen the letter. As the minutes ticked by, with the file locked in Singh’s cabinet and no sign of him, Nehru had become furious, asking for the police to be called and the lock of the cabinet broken! For the next week, Singh made sure he steered clear of the prime minister. “His room was about 15 yards away from mine," says Singh. “So to avoid him I used to take a different route." A week later, he dared to take his regular route again and promptly ran into Nehru. Singh was carrying a book and Nehru asked him what book it was. 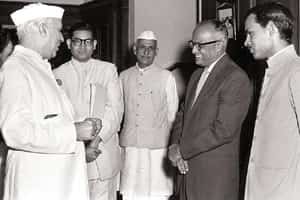 Singh (extreme right) introduced the writer R.K. Narayan (second from right) to Nehru in 1961. “Sir, I have Amaury de Riencourt’s Soul of China," he replied. “Yes, I have read his Soul of India," said Nehru. “Rather Spenglerian, I thought." Singh had never read OswaldSpengler, but he wasn’t bothered. “I thought (Nehru’s) temperature is okay (now)," he says with a smile. According to Singh, the period from 1947 to 1957 was the best for Nehru. He admits India’s GDP might not have been “worth recording" at the time but, at international fora such as the Non-Aligned Movement, the United Nations or the Commonwealth, the world paid heed to Nehru’s words. “When he was going to Yugoslavia for the first Non-Aligned summit, we were working on the programme," he recalls. “So he asked the secretary general if Castro was coming." Told that Cuba’s Fidel Castro was indeed coming, Nehru said, “Then you please add one more day to my trip because he will speak for 8 hours." The trip was extended. But there was a cloud on the horizon, and it eventually took its toll. “China killed him," says Singh. “The attack (by the Chinese in 1962). He had invested so much in China. Historically also, he had a romantic view—he didn’t practise realpolitik, which the Chinese did. So in 1962, we just weren’t prepared." Singh had a ringside view of some of the events that led to the sad denouement of 1962. When the Chinese premier Chou en-Lai visited India in 1960, he was the liaison officer. “The visit failed… Partly it was our mistake," he says. The number of border “incidents" started increasing and exchanges between Chou en-Lai and Nehru became abrasive. “Nehru was polite but Chou en-Lai got into the communist vocabulary, calling Nehru an imperialist lackey." Singh was posted in New York when Nehru died in 1964. He put together a book of tributes for him, writing to Bertrand Russell, Martin Luther King Jr, Clement Attlee, Arnold Toynbee and Adlai Stevenson, among others. They all responded and the book, titled The Legacy of Nehru, came out on his first death anniversary.